Stray animals have long been an unpleasant reality in Moscow. Now some are trying to resolve the problem with massive killings right on the city’s streets. The corpses of over 20 dogs were discovered recently at Izmaylovsky Park, east of Moscow, Channel 3 TV network reported. A resident of the neighborhood said she was shocked when came to feed the puppies and found their dead bodies strewn all over the snow-covered meadow. She collected the bodies, but when she returned later to feed the surviving animals, she saw their dead bodies on the snow, too. Another slaughter took place in Nizhnie Mnevniki, northwest of Moscow, where people armed with automatic and trauma guns went on shooting rampage, killing over 10 dogs, according to Channel 5. Animal rights activists think it might be the same group of people, spreading violence around the city. They say they have found “animal extermination” forums on the Internet, in which members discuss the most efficient ways of poisoning and killing animals. 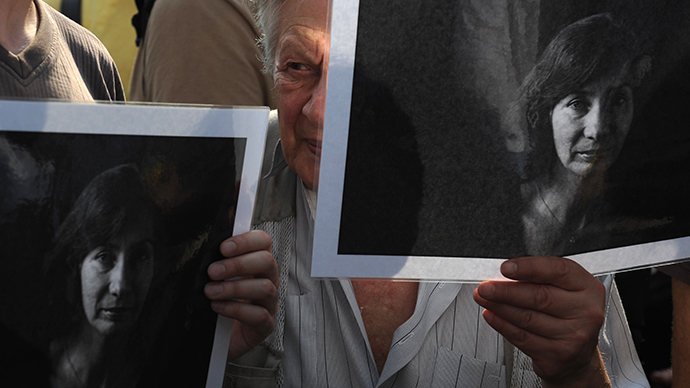 A criminal case into the Izmaylovsky incident has been opened based on testimonies of local residents and activists. It’s been half a year since court proceedings against Dmitry Khudoyarov began at one of the Moscow’s district courts. Khudoyarov is charged with killing six dogs by shooting them from the window of his all-terrain vehicle. He could face up to six months in jail, a year of community service or a fine of up $3,000. However no verdict has yet been announced. Criminal experts say such people are dangerous not only to animals but to society as a whole. According to research conducted by the Moscow Serbsky Institute for Social and Forensic Psychiatry, 85% of maniacs and serial killers started with torturing animals. Similar statistics have been produced by Scotland Yard. 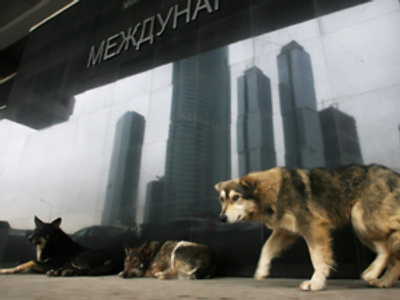 Moscow has had a serious problem with stray animals for the past decade. The current number of stray dogs now stands at 25-30 thousand. They have been implicated in attacks on people and pets and are believed to carry contagious diseases. The city government has implemented a “sterilize and release” tactic to prevent further breeding. In 2008 it allocated nearly 2.5 billion rubles ($84 million) to tackle the problem and in 2009 spent another 3 billion rubles ($100 million) on initiatives such as building new animal shelters. But animal rights activists claim only 5% of stray dogs are sterilized annually. According to them, this indicates misuse of public funds and they have called for a criminal investigation into matter.